Our ornaments are double-sided aluminum with a glossy finish that includes a red satin ribbon. This decorative piece measures 3” x 3” and is a commemorative piece to treasure for many years. Since the ornaments are aluminum there are no worries of them breaking if they should fall from the tree or fall during packing. 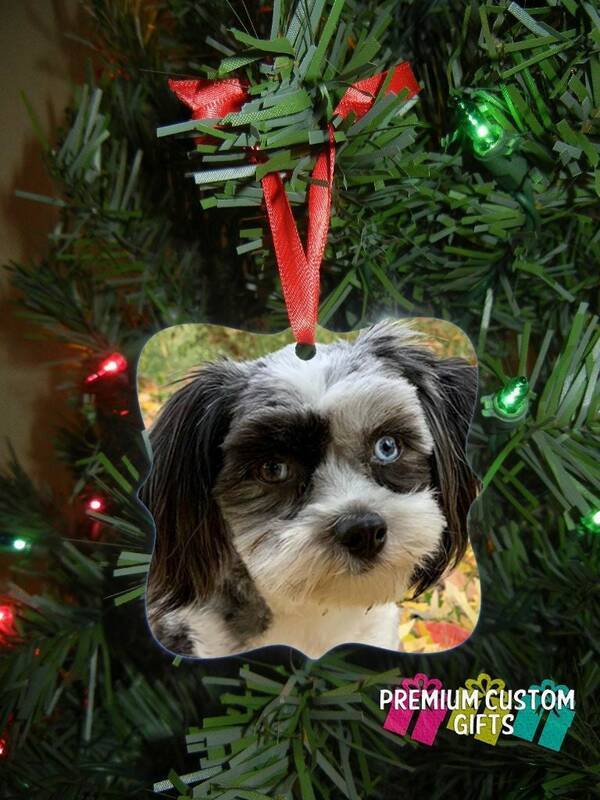 Make your tree shine and sparkle with class using our line of decorative personalized ornaments.